Everyone loves a fire in the hearth crackling on a frosty morning. Even in Texas, fireplaces are popular, particularly in autumn and winter, for the warmth and cozy atmosphere they bring to a home. In addition to servicing chimneys, we inspect and clean dryer vents in one- and two-story homes. A thorough sweep by one of our dryer exhaust technicians includes searching for any issues that might interfere with optimal operation. We also specialize in pressure washing. We provide expert chimney sweeping, pressure washing, duct care and cleaning services at competitive rates in Houston, Austin and San Antonio. In addition to the thorough inspection and cleaning of chimneys, we specialize in the prevention, detection, and correction of chimney and venting system hazards - the kinds of hazards that can endanger the health and safety of your family and home. Our Guarantee, is one of the toughest, if not the toughest in the industry, we will go above and beyond the call of duty to ensure you and your family are satisfied. Chimney cleaning is not just a job for keeping your house free of contaminants but is actually a health and safety standard. If you have a house with a chimney, it is your responsibility to regularly clean and maintain it. 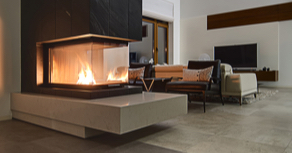 The health and safe functioning of your fireplace are dependent on the condition of the chimney. You can become a victim an accident if your chimney is not in a clean condition. An unclean chimney can give rise to a fire in it. These fires are often accompanied by loud popping and cracking, dense smoke and a strong odor. They have the tendency to burn slowly and not be visible before they have spread greatly. However, they have the ability to into the walls due to their high temperatures. This makes it easier to ignite anything flammable in the way. An unclean chimney is clogged with creosote, which is a natural and tar-like substance. This is produced as a by-product of burning wood. An unclean chimney can become prone to buildup of dangerous gas. This gas is known as carbon monoxide (CO). Every year, a number of people die because of CO poisoning. This is due to improper maintenance of fireplaces and chimneys. Even a little amount of CO can cause headaches, nausea, dizziness and confusion. In order to prevent the buildup of CO, it is recommended to get your blocked chimneys cleaned. Apart from safety warnings, an unclean chimney can destroy the aesthetic of your fireplace. Over time, the flue can become saturated with soot. If not cleaned regularly, the soot can block the chimney; making it difficult to draw the smoke upward, as a result, the smoke will instead enter the room. This means more soot around the hearth and it may even accumulate on the furniture in the room. Before any work is started on the chimney, our experts will conduct a thorough inspection. This inspection can identify the problems that can be resolved or others that need repairs. The inspection ensures that the chimney is only treated for the problem that exists; saving you money and time. 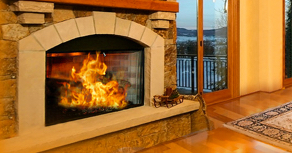 At Nature's Own Chimney Cleaning, we provide you with professional chimney cleaning and fireplace maintenance services. There are many people who tend to clean the chimney themselves. Not only is this insufficient for proper cleaning but can actually be dangerous. You are not equipped with the right tools and knowledge that are required for the maintenance and cleaning of fireplaces and chimneys. Therefore, it is highly recommended to hire professional experts. They come equipped with appropriate tools and expertise in the field. On the other hand, reliable professional services are certified by the relevant authorities. These authorities have set certain rules for chimney cleaning and standards of safety that need to be fulfilled. As a highly recognized professional chimney cleaning service in Houston, San Antonio, Austin, Dallas and Marble Falls, Texas, Nature's Own Chimney Cleaning takes immense measures to meet the requirements set by the relevant authorities. Particles in the smoke - called soot or creosote - are deposited on the inside of the chimney and fireplace. Creosote is flammable. When a sufficient amount builds up in a chimney, a fire hazard exists and the chimney needs to be cleaned. 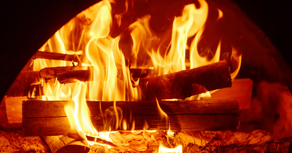 We offer chimney cleaning Austin, Chimney Cleaning Houston and Chimney Cleaning San Antonio. The gradual accumulation of soot can seriously affect the way your chimney performs. Our sweeps often find chimneys literally packed full of leaves, twigs and even baby animals. The solution to these issues is a good cleaning and a chimney cap. In this world where people love the fireplace, In case you have the satisfactory chimney in your fireplace, you certainly have an excellent burning fire. Basically, Chimney has a couple of dominant functions. First, however, it totes unwelcome combustion out of the house. Furthermore, it feeds the air for keeping fire burn. Chimney cleaning plays a vital role to make sure your safety as well as an entire home by the unwanted fire. There is always much confusion about chimney cleaning that how often chimney needs to be cleaned. In the light of the fact, this question relies upon how often have you burned, what have you burned, and how have you burned? Well, according to the National Fire Protection Association (NFPA), Chimney's cleaning must be inspected, and done once in a year whether it was being used or not because each and every chimney collects up sooty, if you find any form of soot inside it, so do chimney cleaning as soon as possible for preventing chimney fires and carbon monoxide. Please be aware that Chimney and furnace system is moderately tangled, so an inspection can alert you to a probable problem before having any serious safety issue and costly repair. Without fail, scheduling your inspection and cleaning is always a wonderful idea for good, moreover, especially in the late summer or by and by falling. Also, there is one of the high time for scheduling an inspection or cleaning when you buy the new home and want to know the present condition of the chimney system, in addition, you change to a new fireplace. Predominantly, homeowners use wood stoves as a heating source because of a decorative purpose, but remember that a wood stove frequently needs to be cleaned more than a fireplace. According to the Chimney Safety Institute of America (CSIA), the masonry chimneys must be cleaned, if there is ¼ sooty and creosote. Nobody can underestimate the importance of chimney cleaning. Most of the homeowners do not know the warning signs that they must not ignore at all if you notice a buildup of soot on the walls of the chimney, a burning smells while the fireplace is not being used, and smoke while fires are burned, in conclusion, you must clean your chimney rapidly. On the one hand, there are endless benefits of chimney cleaning. As a matter of fact, "Nobody can pay the worth of life". One of the most significant benefits of chimney cleaning is that you surely ensure your safety. Moreover, you kick out your doubts that are you burning correctly or not? And, to avoid soot fires. As I mentioned you, more soot more gasses that can be an actual cause of undesirable fire while you know it earlier to happen by chimney cleaning. It helps to expel undesirable smoke efficiently that enters into the house. This is not enough; it also makes sure an ideal flow of air for efficient heating. You may also protect your family from air pollution by chimney cleaning. It stops amasses of leaves, animal droppings, and other particles that can damage chimney. In short, chimney cleaning is necessary for both health and safety reasons. Unluckily, there is plenty of homeowner who do not grasp that they need maintaining their chimneys inside and outside, even they do not know their chimneys are not functioning properly. As I have mentioned in the beginning, homeowners should not ignore the warning signs at all, for example, your chimney is collapsing, crumbling, or crackling. So, you have to realize as quick as the flash that chimney needs to be repaired. According to the Chimney Safety Institute of America (CSIA), a large number of household fires are caused by faulty chimneys. To avoid residential fires and carbon monoxide leaks, homeowners should invest in chimney repair and maintenance. Chimney repair may be of different types, such as re-flashing, cap repair, and so on. On the other hand, chimney repair has many benefits, if it is done properly. Proper chimney repair plays a vital role to make sure your safety around the clock undoubtedly, moreover, keeps the household air clean as much as possible. Chimney repair gives you much longer lifespan to your fireplace adequately, also, enhance its appearance. It saves your home as well as the family by the hazardous chimney fire. For serving as a glimmer guard, it kicks out critters and moisture, however, as a glimmer guard, it also protects against probable dangerous that are caused by floating embers. However, Chimney lining is one of the most important safety features of your chimney because it protects from the heat and substances from the fire. 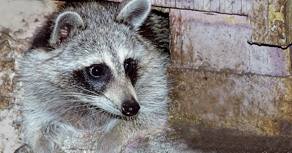 Chimney caps also refer as Rain Caps that are used to prevent animals going inside your chimneys such as raccoons, snakes, and squirrels that are able to climb into chimneys with ease.